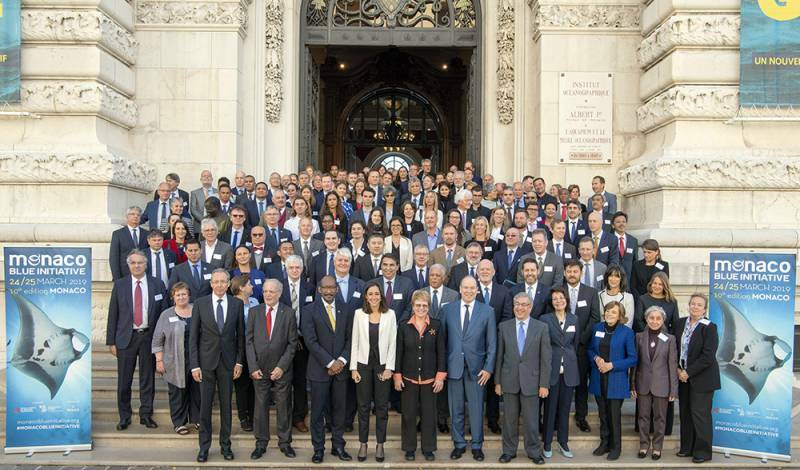 145 experts and decision makers from around the world gathered around Prince Albert at the Oceanographic Museum on Sunday and Monday to discuss the development of marine protected areas during the 10th Monaco Blue Initiative. Prince Albert II gave the opening speech in French and English to welcome the 10th edition of the event, acknowledging how far Monaco Blue has come in a decade. He said the oceans face more precise threats and we need forces, new ideas, new means and energies to protect them. Marine protected areas play a very important role and can serve as a stronghold against rising sea levels and most natural disasters. Prince Albert also said that the ocean protection movement is gaining ground every year, and it is time to accelerate the movement before it is too late. Initially, the goal was to make 10% of the seas and oceans protected by the time the COP15 event on biodiversity took place in China; unfortunately, this goal will not be accomplished by then. According to the Prince, humans need to expand marine protected areas to cover one-third of our oceans in order to provide effective protection, because the future of the planet is at stake. France recognizes the leadership of the sovereign in marine protected areas and gives him its full support. 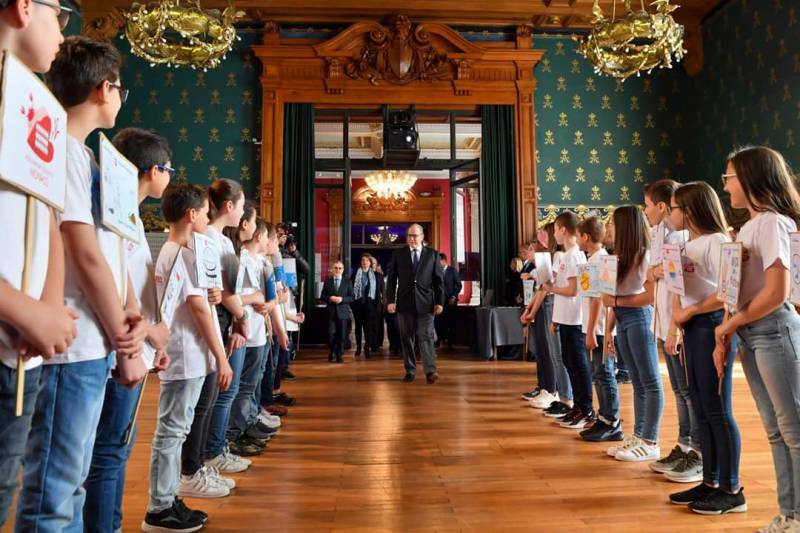 At the Oceanographic Museum, 150 students from the Principality attended a talk with Pierre Casiraghi and Boris Herrmann about adventure, the life of a skipper, the science of the oceans and the urgent need to protect them. The two friends frequently sail treacherous waters around the globe aboard the Malizia yacht. The presentation gave room to students to ask the two guests specific questions. They said that to protect the ocean, you have to understand it, which is an idea inspired by Prince Albert I. In its own way, the Malizia contributes to a better understanding of the oceans. When racing in remote areas which are inaccessible or too dangerous for research vessels (especially in the southern hemisphere) their boat collects a wealth of data that scientists then analyze. Namely: temperature, salinity and C02 values. Pierre Casiraghi concluded the talk by saying that students in Monaco are well-informed about the importance of protecting the oceans; they are the future and it will be their generation that will soon be making major decisions. 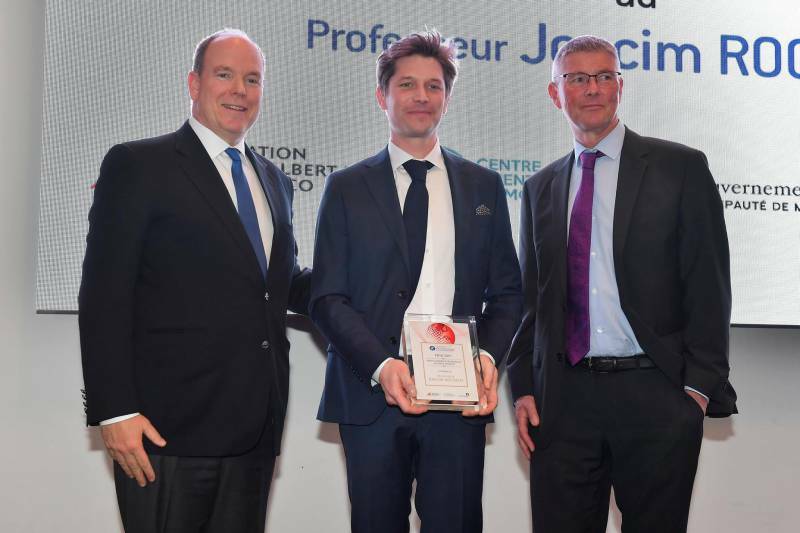 As part of Monaco Ocean Week, the Sovereign presented the Prince Albert II of Monaco Pasteur Institute prize to Professor Joacim Rocklöv on 28 March. The award recognizes a researcher who has contributed to studying the impact of environmental change on human health. Joacim Rocklöv, Professor of Epidemiology at the Faculty of Medicine in Umea, Sweden, researches arthropod-borne viruses like Zika and Dengue. Because of his expertise in statistics, he was able to develop a predictive mathematical model of future epidemics according to the patterns of the yellow fever mosquito, with the aim of setting up early warning systems. He is also engaged in public activities which bring together health and climate scientists, economists and policy makers. The award is part of an agreement between the Institut Pasteur, the Prince Albert II of Monaco Foundation and the Prince’s Government.